Close to 1,800 students in grades 3 to 6 will get a taste of the Old West with educational presentations and displays set up as part of Ted Walker Youth Day, taking place Thursday, Feb. 7, 9 a.m.-2 p.m. at Old Tucson Studios, 201 S. Kinney Road. Sponsored by the and Pima County Natural Resources, Parks and Recreation Department, the event features a host of other activities. For example, students will enjoy a musical review with Lady Vivian and her girls doing the can-can; frontier lawmen explaining justice in the Old West; Hollywood stunt demonstrations; a Buffalo Soldiers exhibit; and a presentation of the flags of the Southwest, led by Pima County Board of Supervisors Chairman Richard Elías. Walker was a longtime business leader, philanthropist and Pima County Natural Resources, Parks and Recreation Commission member. He was instrumental in the expansion of the county’s park system from 1953 to 1973. The Pima County Board of Supervisors renamed Ina Road Park in Walker’s honor in 1979 for his contributions to the development and expansion of the park system. Walker founded a Youth Day celebration in 1988 to give local schoolchildren an opportunity to experience Southwestern history and culture. 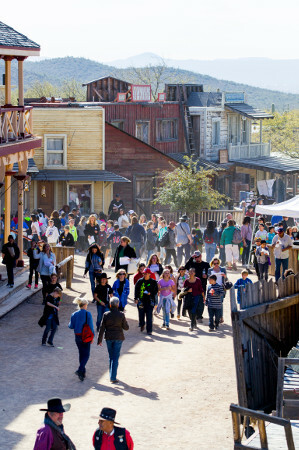 At the event, Old Tucson will present Western entertainment and educational living history presentations that are all aligned with core standards. Previous educational booths included the: Arizona Sonora Desert Museum, Pima County Environmental Education, Buffalo Soldiers, Arizona Game & Fish, Postal History Museum, Pima County Public Library and many more. Ted Walker Youth Day is sponsored by Pima County Natural Resources, Parks and Recreation in partnership with Old Tucson Studios, Pima County Parklands Foundation, Dan Felix Memorial Fund and Arizona Sonora Western Heritage Foundation.